The Drucker Institute at Claremont Graduate University has announced a call to U.S.-based nonprofits to apply for the 2017 Drucker Prize, which comes with a cash award of $100,000. The prize application is now available on the Drucker Institute website, http://www.Drucker.Institute/nonprofits/. The submission deadline is Friday, May 12, at 5pm Pacific Time. 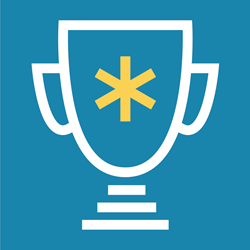 The Drucker Prize is built on a resource-rich learning platform that blends the timeless wisdom of Peter Drucker with the thinking of some of today’s brightest management minds. This year’s experts include, among others, Good to Great author Jim Collins and representatives from the Bridgespan Group, Omidyar Group and BoardSource. Judges for The Drucker Prize look for programs that are highly effective, that have made a difference in the lives of the people they serve and that demonstrate a capacity to further leverage the discipline of innovation. The winner of the 2016 Drucker Prize winner was ImproveCareNow Network, recognized for its innovative approach to transforming health and care by creating a high-performance, beneficiary-centered program that enables patients, families, clinicians and researchers to collaboratively improve knowledge and outcomes related to Crohn’s disease and ulcerative colitis in children. Last year the Drucker Institute received 495 applications for The Drucker Prize. A survey of those who completed the 2016 application found that 92% said the process would prompt them to explore additional opportunities for innovation in their work. And, most significantly, 97% of the 50 semifinalists said the learning-centric second round would help their organizations innovate more effectively. If you have questions about the application or prize process, please contact: druckerprize(at)drucker(dot)institute.